My seven year old daughter loves the Holy Heroes Glory Stories. Believe me when I tell you that is saying something. She is a very active young lady and it took her until this year to behave appropriately in Mass (and she still doesn’t want to be there). She reluctantly says her prayers, and she doesn’t like audio books, yet she will happily listen to these and asks to listen to them over and over. I am so thankful for these CDs. As an adult, I enjoy them as well. This is why I was so excited to see the new Glory Story of Saint Bernadette Soubirous who saw our Blessed Mother in Lourdes, France. While I was familiar with her story and have seen the famous movie about her, The Song of Bernadette, I still learned new things listening to this version. While all the voice actors do a great job on these stories, the voice actress portraying St. Bernadette offers an exceptional performance, capturing the 14 year old’s childlike innocence perfectly. This CD is approximately 56 minutes long (which includes some brief previews of other Glory Stories). 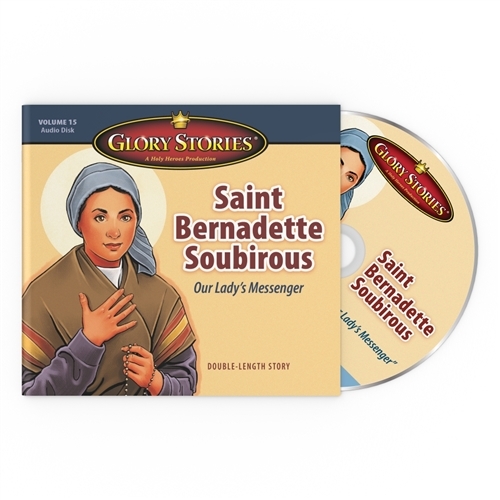 I heartily recommend the whole series of Glory Stories and this one about St. Bernadette in particular. 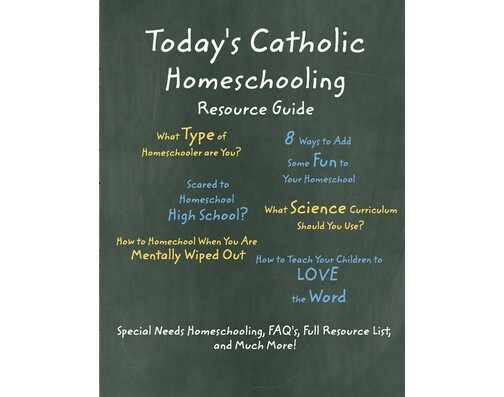 These CDs are great for listening in the car or at home.